How Do Multiple "End of Turn" Effects Stack? Ajuntoson on Wait, Did I Get Stomped On? First of all, I love it. I've built practically the same deck (not going to shamelessly plug, just seems rude), and it's my first dip into modern. I've definitely got a couple suggestions. 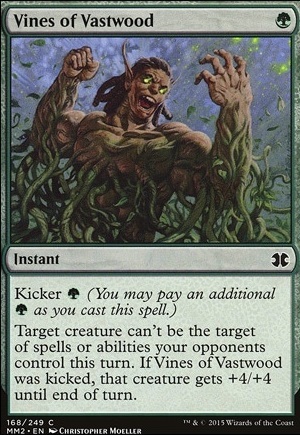 This is a very creature heavy deck, so I'd highly recommend Blossoming Defense or Vines of Vastwood over gigantic growth. 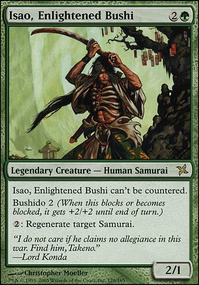 Yeah, growth gives you 1 more power, but the flexibility of protecting your man from a fatal push or path to exile makes it absolutely worth it. Next, I'd say add 2 or 3 Treetop Village s, and bump the land to 20-21. Village doubles as a forest and backup tusker. 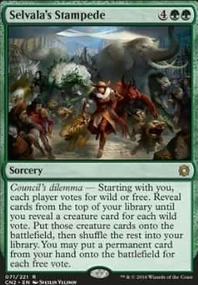 Lastly, let's talk sideboard. Natural State is much better that the seal do to it's instant speed and costing one less. A Creeping Corrosion or 2 would also be recommended for those boards that get out of hand too fast. Prowling Serpopard is amazing for those decks that like to run nothing but counterspells. I would recommend Scavenging Ooze , but the wheel of sun and moon pretty much covers both graveyard and mill strategies. Like I said, wonderful deck. Hope these tips bring you success in future games. heckproof : I find myself playing against lots of different decks, but some of the slightly more common opponents include Tron variants, Blue/White control variants, Izzet Phoenix, and some Ad Nauseam. I don't go against any one deck too often though, and there is a decent variety overall. One important note is that due to Phoenix's popularity overall as a deck, graveyard hate is incredibly important to have at the very least in the sideboard, and main deck is often a positive as well. 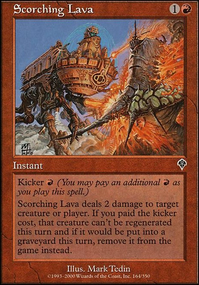 Damping Sphere is an all star due to its ability to slow Tron deck to a crawl, while also being strong against Phoenix decks by stopping their rapid fire spell plan. 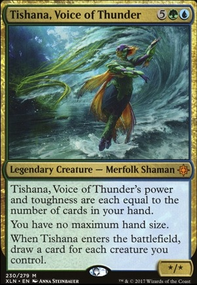 In general I find Blue White control to be a winnable match, but is often a hard one to sideboard for as you want to keep the speed of the deck, but also find ways to grant it further resilience. Overall the sideboard will shift over time depending on what you find yourself playing against most often, and same goes with some of the main board. 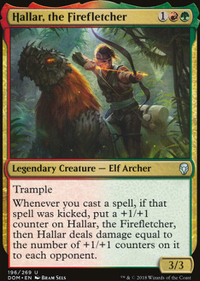 Some things I have found: Opposing creature based aggro decks are often decided based on if you can land a Pelt Collector or an Experiment One and grow them. Strangleroot Geist is very string in these matches. Also, burn is actually a favorable match-up in general, and most of my losses to burn come at the hands of losing the die roll and a turn one Goblin Guide . Tron is a match that is winnable, but often I'll find myself losing game one and winning the next two games off the back of Damping Sphere , or winning because they didn't have turn three Tron. Arclight Phoenix decks are generally through graveyard hate, so it really comes down to how much you have. Also it is important to be able to kill Thing in the Ice Flip pre transformation, so Dismember is nice. Azorius control is a often a bad match up due to the amount of anti aggro style cards that are in the main board if the deck, and Vines of Vastwood is strong. Heroic Intervention is great in this match-up, but often their board wipes circumvent indestructible. Ad Nauseum is probably the best match up, as you are able to usually be fast enough to kill them before they combo off. Hello good sir. Im my local resident and veteran infect player here to drop some advice regarding Inkmoth Nexus . 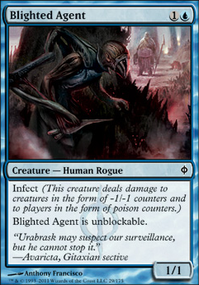 Now in affinity Arcbound Ravager ravager leads to most infect kills turning inky into a 5/5 at minimum. You dont have thr luxury of anything smaller as a 3 turn clock is awful compared to a 2 turn one. Nice list! I'm also on the no island plan, although I kept in one Melody, last torunament I got it turn 3 on all my games except ones, it was really stupid. I'm gonna ask about the number you play of certain cards: why 4 Priest, 3 Vanguards, 3 visionarys, 3 Nettle and why 4 wellwisher and also 2 Essence Wardens, is there a lot of burn in your meta? I currently like playing one of either Magnify or Spidersilk main. Also, what do you think about 2 Vines of Vastwood main?